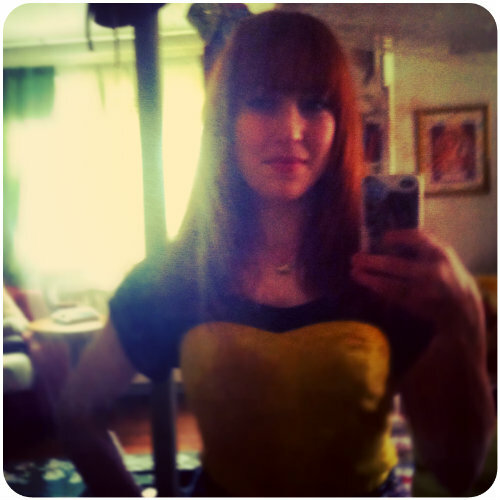 A bit of a blurry photo, but as you can see I got myself a haircut – the clavicut to be precise and I absolutely adore it to pieces! I have had super long hair for, like, ever and ever and even though I adore long hair, I wanted a change. I have been wearing it both wavy (my natural texture) and straight and both are so chic! Whenever I take Nelly out (which is, oh about 6 times or so a day) I always come back in with several gorgeous leaves, or a twig or rock or something that caught my fancy. 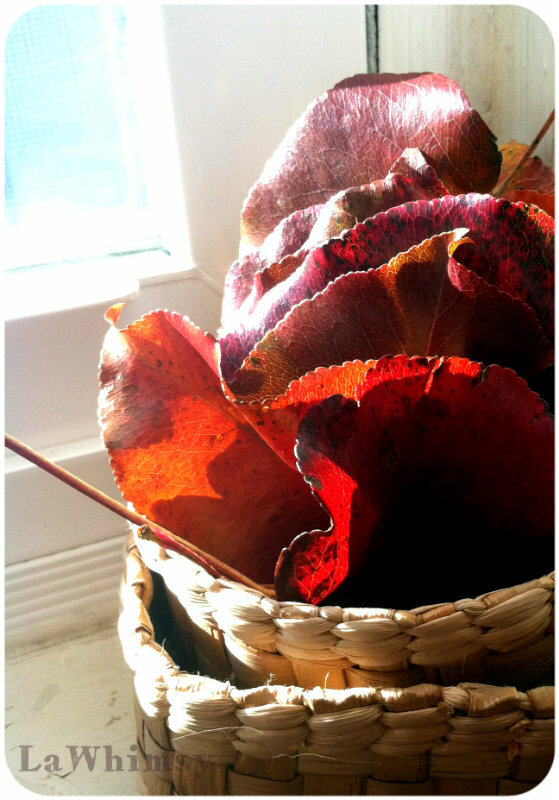 These sweet little baskets that I have a really cute idea for are holding a few of my nature treasures and catching the bright, late afternoon sun. I’m not a huge nail art gal, but I do paint my nails all the time and I was particularly smitten with this pale, autumn-like combo. 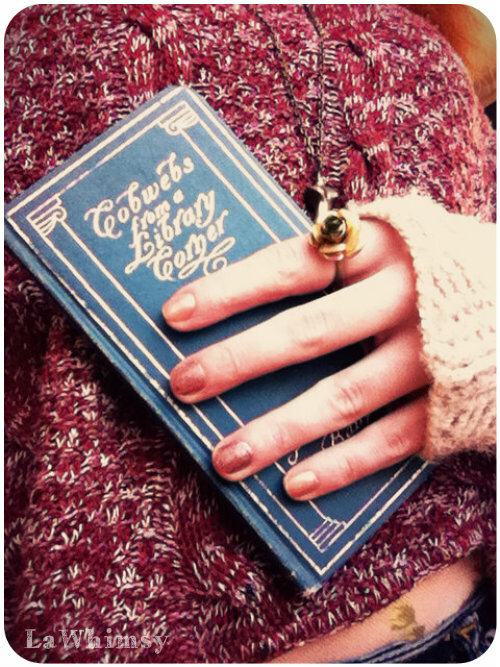 Add a lovely book, a pair of delicate fingerless gloves and a vintage ring and you have yourself a dandy fine photo vignette, tee-hee! 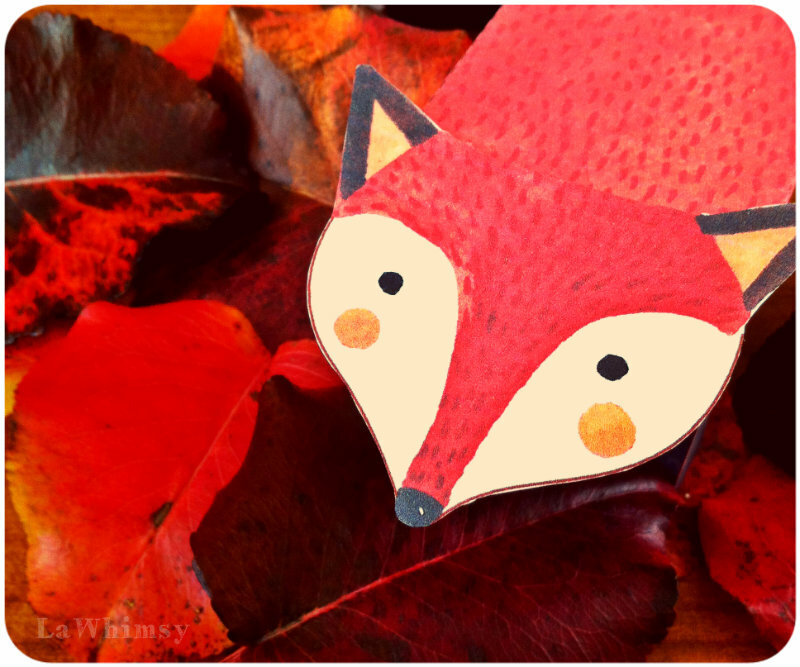 I have been playing with paper (as evidence shows here) and I quickly put together this darling fox from Oana Befort (download and instructions can be found here on One Sheepish Girl). It’s posing with even more of my leafy treasures – I just can’t help myself all of the leaves are so gorgeous and the colors make me swoon! So there you have it, a bit of my sweetly scattered world. What is your world like?